On November 10th, The Institute for the Future of the Book kicks off an experiment in close reading. Seven women will read Doris Lessing’s The Golden Notebook and carry on a conversation in the margins. The idea for the project arose out of my experience re-reading the novel in the summer of 2007 just before Lessing won the Nobel Prize for literature. The Golden Notebook was one of the two or three most influential books of my youth and I decided I wanted to “try it on” again after so many years. It turned out to be one of the most interesting reading experiences of my life. With an interval of thirty-seven years the lens of perception was so different; things that stood out the first-time around were now of lesser importance, and entire themes I missed the first time came front and center. When I told my younger colleagues what I was reading, I was surprised that not one of them had read it, not even the ones with degrees in English literature. It occurred to me that it would be very interesting to eavesdrop on a conversation between two readers, one under thirty, one over fifty or sixty, in which they react to the book and to each other’s reactions. And then of course I realized that we now actually have the technology to do just that. Thanks to the efforts of Chris Meade, my colleague and director of if:book London, the Arts Council England enthusiastically and generously agreed to fund the project. 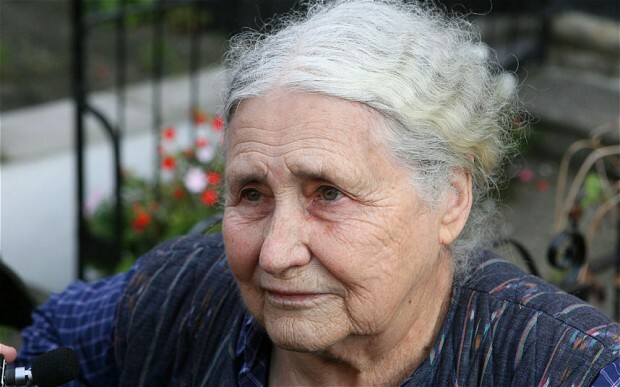 Chris was also the link to Doris Lessing who through her publisher HarperCollins signed on with the rights to putting the entire text of the novel online. Fundamentally this is an experiment in how the web might be used as a space for collaborative close-reading. We don’t yet understand how to model a complex conversation in the web’s two-dimensional environment and we’re hoping this experiment will help us learn what’s necessary to make this sort of collaboration work as well as possible. In addition to making comments in the margin, we expect that the readers will also record their reactions to the process in a group blog. In the public forum, everyone who is reading along and following the conversation can post their comments on the book and the process itself. Here’s the link again to The Golden Notebook.